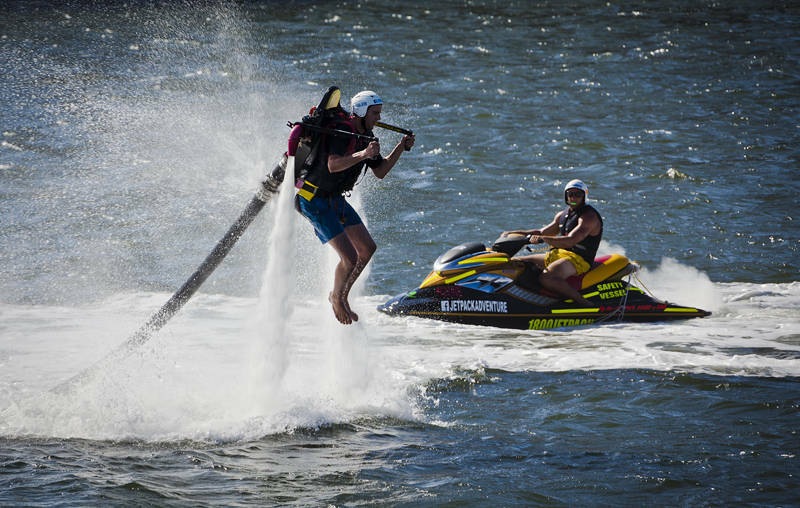 We saw this Hydro Jetpack practicing near the bridge between Southport and Surfers Paradise in Queensland, Australia. The jetpack is powered by a jet ski via a long hose. This is the stable version of the water sport. Some ingenious lunatic managed to double the danger by attaching a jet ski to a board only in a similar way.